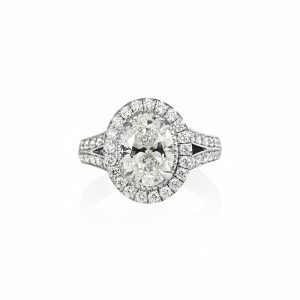 Oval Halo and Split Shank Engagement Ring for Samantha by Cynthia Britt. 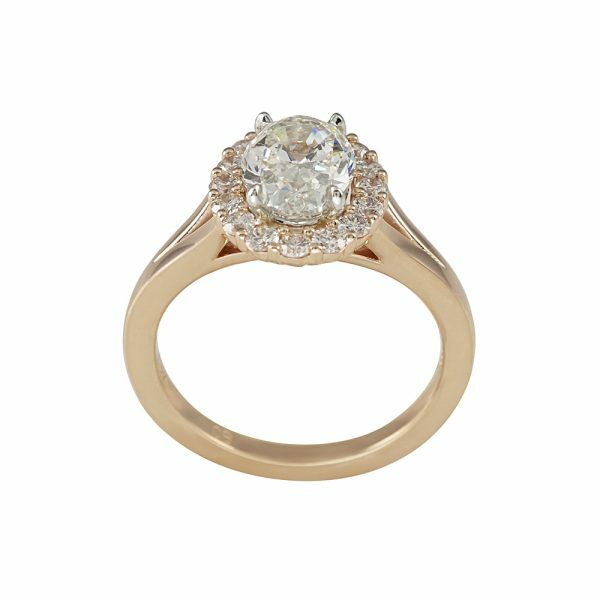 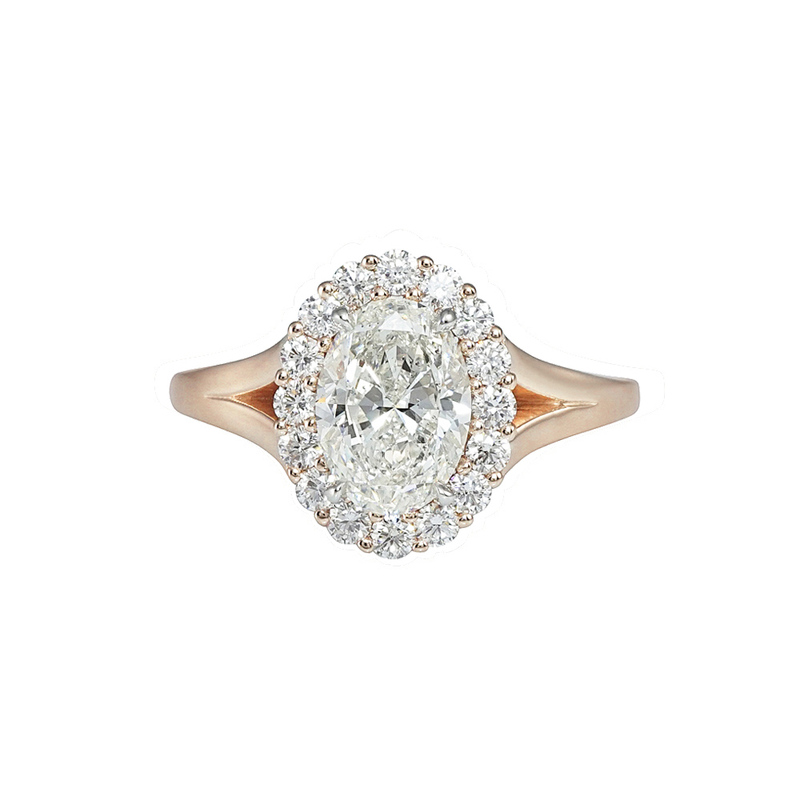 This beautiful and regal engagement ring is set with a gorgeous 1.40 carat oval cut diamond with I color, SI2 clarity in a diamond halo setting. 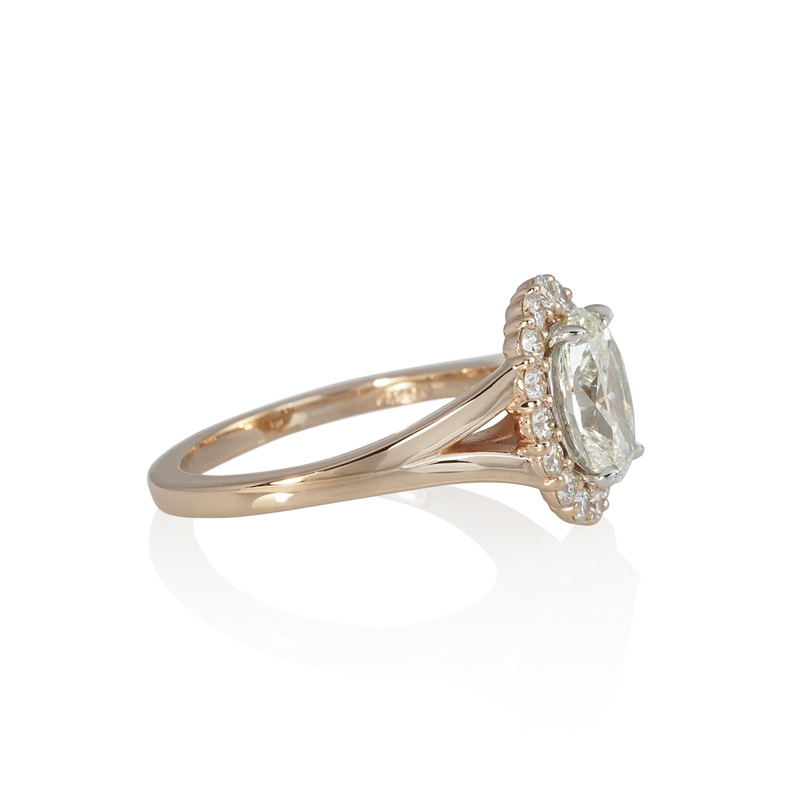 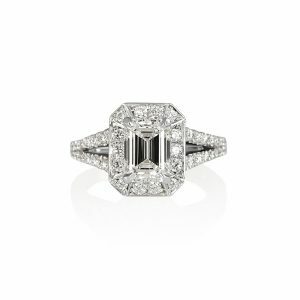 The split shank band adds a unique twist to the classic halo engagement ring. 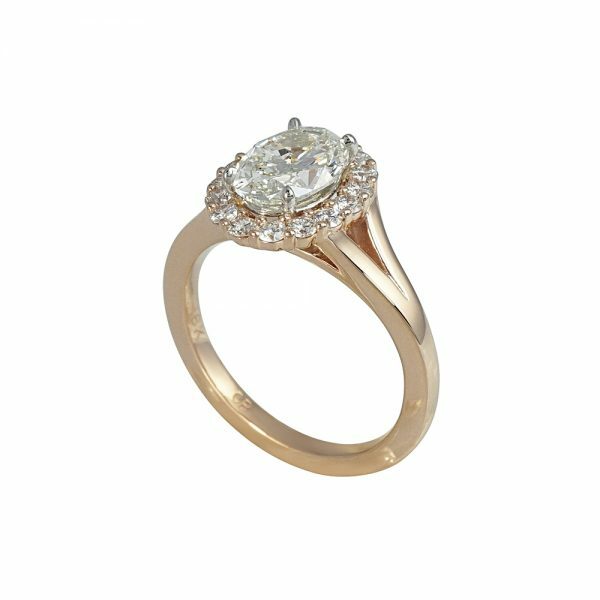 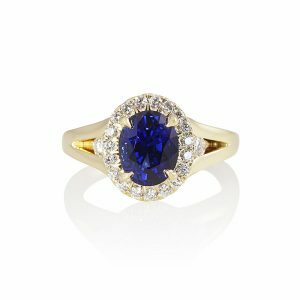 For inquiries on the center stone and to order your own custom made split shank engagement ring, please contact Cynthia directly.